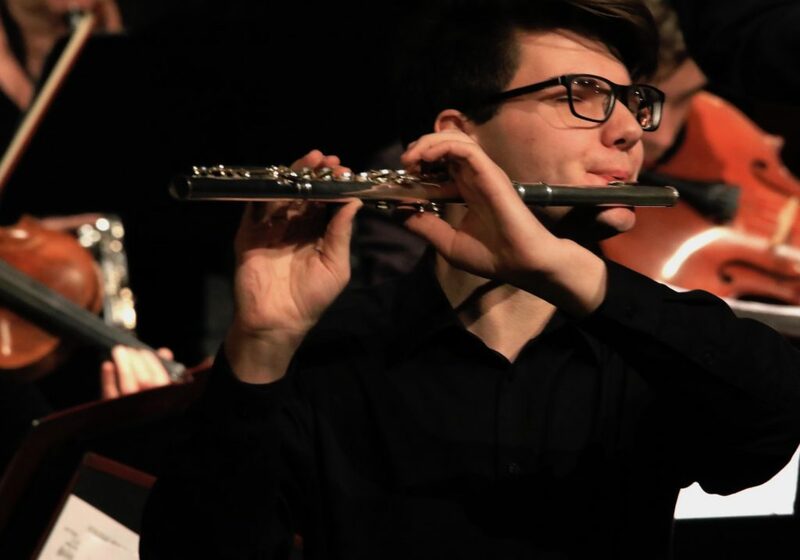 Heartland Symphony Orchestra’s Spring Concert the first weekend in April featured the winners of the Youth Concerto Competition, flutist Isaac Olson of Little Fall and pianist Jared Campbell of Paynesville. Both performed with the Heartland Symphony Orchestra in their spring concert “Destinations” which was held March 31 at the Pequot Lakes High School, April 1 at the Little Falls Community High School and April 2 at the Tornstrom Auditorium in Brainerd. This year, the Heartland Symphony Orchestra was awarded a grant from Crow Wing Community Trust to help support the Youth Concerto Competition. The Youth Concerto Competition takes place in alternate years and has been an integral part of the Spring Concert Series since 1983. Besides their public performances at the Heartland Symphony Orchestra’s Spring Concerts, each of the young artists received a recording of their performance and a music scholarship to continue their musical studies. Thanks to the Crow Wing Power Community Trust, this year each winner received a $500 scholarship. Isaac Olson attends Little Falls Community High School. He has played flute for five years, piccolo for three years and piano for four years. Inspired by family and friends he attributes his learning from his parents, Mr. Kevin Stueven, Mr. Ryan Tenold, Ms. Barbara Bright and currently Mr. Jonathon LaFlamme. He presently plays in the Little Falls Community High School flute choir, jazz Ensemble I and II, Pep Band, Marching Band, the Wind Symphony and the pit orchestra for the spring musical. Olson plans on attending a college for flute performance, eventually playing in an orchestra. 2017 Youth Concerto winner, Jared Campbell of Paynesville performs Edvard Grieg’s Piano Concerto for Piano and Orchestra with the Heartland Symphony Orchestra. Photo by John Erickson. Jared Campbell attends Paynesville High School. 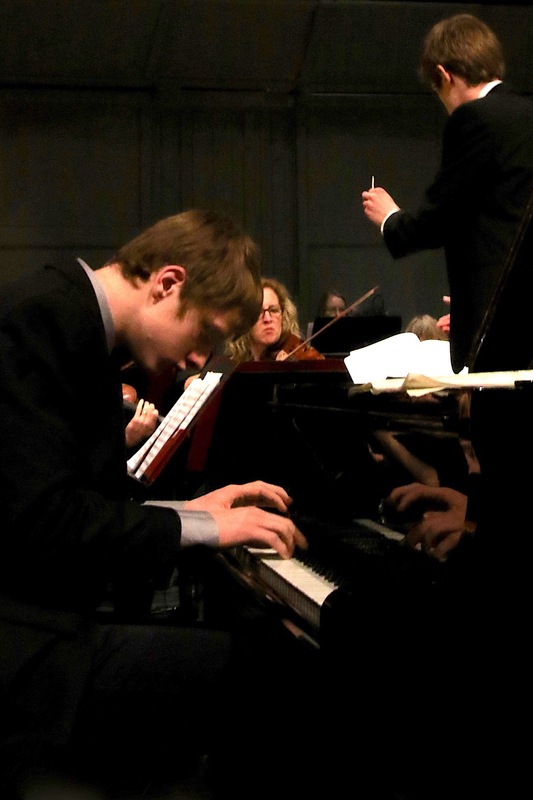 He has played piano since kindergarten and has been motivated by family members and friends along the way including four inspirational teachers, Sharon Bergman, Karl Shumaker, Jeannine Barrett and since seventh grade, Dr. Paul Wirth. A favorite of Campbell is attending piano camp for seven years at such venues as the U of M, McPhail, Northwestern-Roseville and the Young Artist World Piano Festival at Bethel. Campbell’s top interests are music and pre-med and his plans are to attend a Christian private college such as Concordia Moorhead, St. John’s or Gustavus.